The follower of Jesus has been called to turn aside from idols and serve the living and true God. 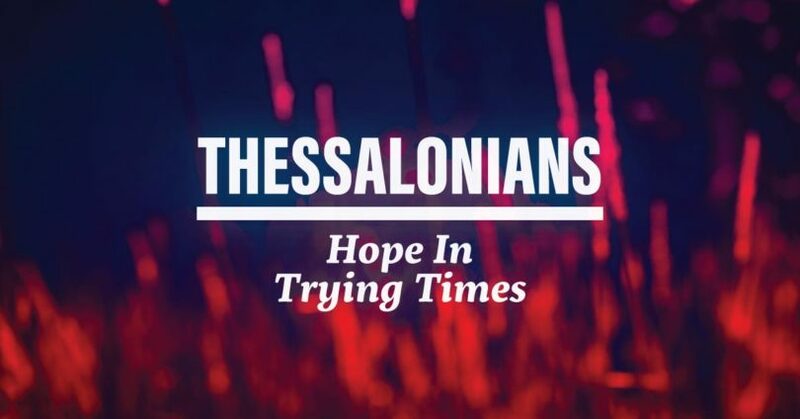 In part 1 of 1 & 2 Thessalonians: Hope In Trying Times, Pastor Dan Cox reads from 1 Thessalonians 1:1-10. The blessed hope of the believer is the second coming of Jesus Christ when He will transform the mortal bodies of believers into glorious resurrection bodies, defeat all His enemies and establish everlasting righteousness as He makes all things new. This hope can sustain us in trying times as we seek to faithfully follow Jesus here and now, and live in confident expectation of His certain return. Purpose: To commend and encourage them in their faith, address problems in the church, and clarify teaching regarding the second coming of Jesus. Are you turning aside from dead and false idols to serve the living and true God?